The Hot Tub Club is supported by some of the leading brands in the UK including Hydropool, Elite Spas, Caldera Spas, Marquis Spas, Coast Spas, Vita Spas, L.A Spas and La-Z-Boy. Choosing the right hot tub or spa for you and your family can be daunting, especially with so many different hot tub brands, models and options available. 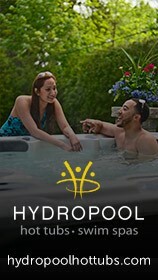 For almost two decades, Hydropool have been renowned as experts in the art of relaxation. It’s a reputation we’re thoroughly proud of and something that our customers are reminded of every time they enjoy the superior features and premium quality of their own personal spaces of serenity and indulgence right in their own back gardens and conservatories. L.A. Spas‘ ergonomically designed seats, jet performance, and immediate stress relief are just a few ways you’ll know you own the very best. 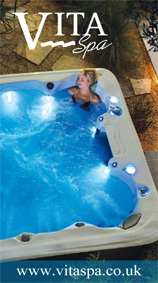 Quality, reliability, and performance – reasons why L.A. Spas can provide you with ultimate Adventures in Hydrotherapy! 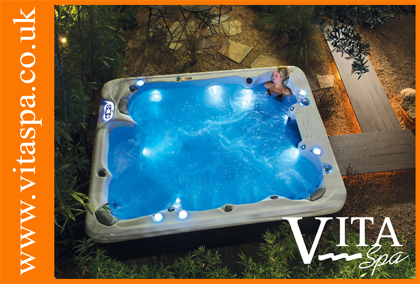 L.A. Spas designs, manufactures, and sells a wide array of portable hot tubs that exceed every consumer’s needs. 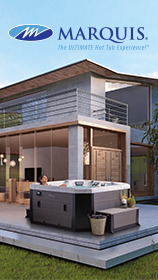 The La-Z-Boy Hot Tubs program includes a total of nine models with the Signature Collection featuring four high quality mid-priced models and the Premier Collection offering three cutting edge hot tub designs. The entry level Classic Collection includes two models with great starter features and a compelling price point. Marquis® was founded in 1980. Since that time we've worked hard to build trust with our customers. So it's no surprise to find that today we're an employee-owned company. We've always had a reputation for quality products and each employee takes pride of ownership very seriously. Such a commitment has led to the highest level of product quality and reliability.